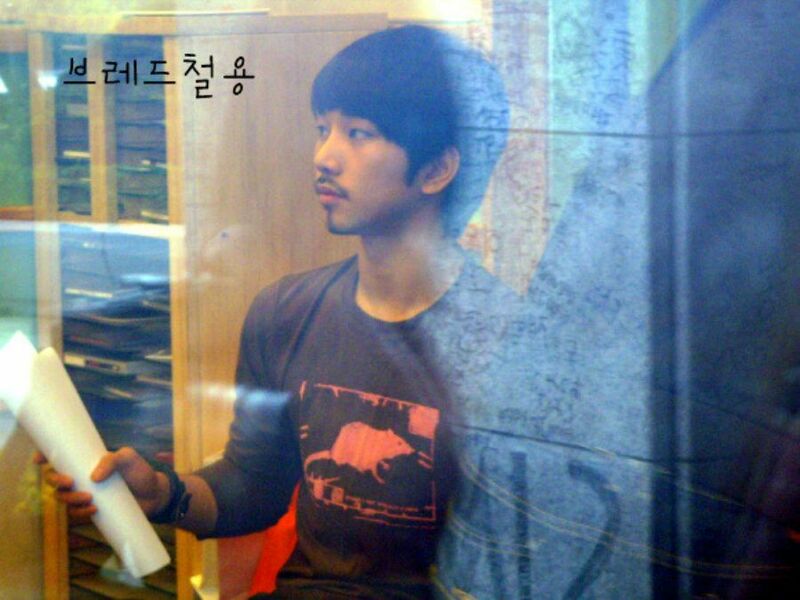 On 27 April 2010, G.O hit the radio waves as a guest on DJ Hong Jin Kyung’s Music Space. Usually when I write about in studio radio show appearances it is because G.O at some point in the broadcast sings a song. That did not happen on this particular day in the studio, but I wanted to write about this appearance for a couple of reasons. 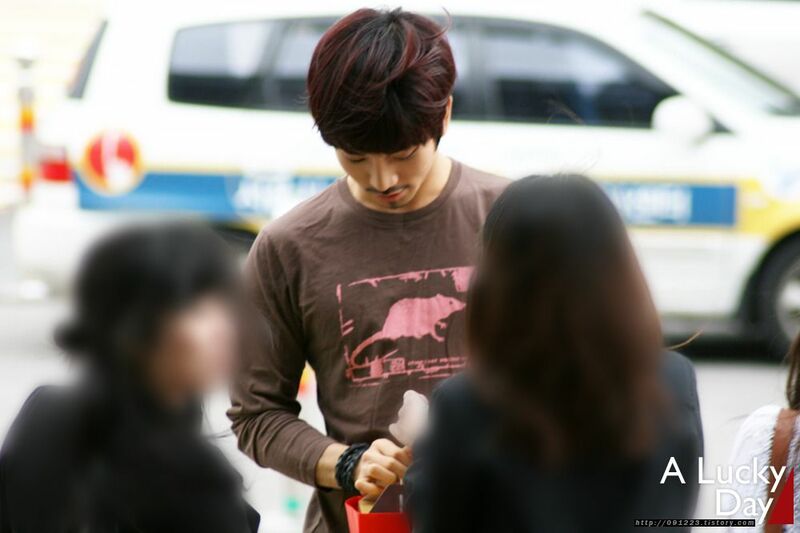 One is because of the cute pictures A Lucky Day captured of G.O either arriving or leaving the station. The other reason is well . . . kind of ridiculous. Let me explain. When you find yourself in the land of devotion, the most trivial and inane moments captured of a beloved bias are meaningful. I have no idea what the subject matter was for the day when G.O sat down in the studio with Jin Kyung. But what I did notice at one point when they took a break in the broadcast to play MBLAQ’s G.O.O.D. Luv is how engaged in conversation G.O and Jin Kyung were during the break. So I pull from the video taken that day on Music Space the conversation where we hear nothing but G.O.O.D. Luv and watch how G.O captures Jin Kyung’s full and undivided attention as he tells a story. Inasmuch as I am curious to know what it was he was talking about, just watching Jin Kyung’s response is enough for me to know that G.O’s genial conversation was ripe with intelligence, wit, and charm. 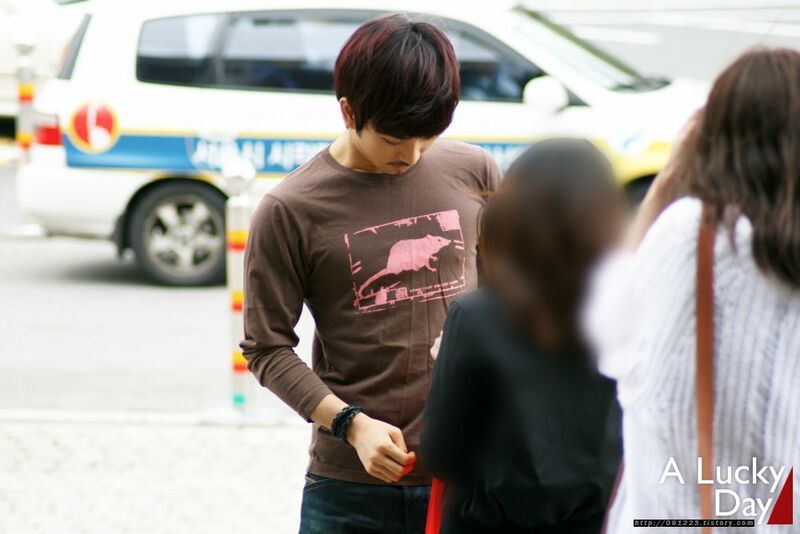 Categories: G.O Military Discharge, MBLAQ Musings, The G.O Files | Tags: G.O, G.O images, G.O on the Radio, G.O's Gentle Style, G.O's Strong Physique, Hong Jin Kyung, 정병희, 지오, Jung Byung Hee, Jung Byung Hee images, KBS Radio, KBS Radio Music Space, Korean entertainment, MBLAQ G.O, MBLAQ G.O images, MBLAQ G.O on the radio, MBLAQ G.O's Eyes, MBLAQ G.O's Strong Physique | Permalink.